These small earrings from Zoe Chicco are big on beauty! Crafted in 14K yellow gold, each stud features four bezel-set diamonds that nestle together in brilliant formation, for .16ctw. A comfortable post back ensures your comfort and the jewelry's safety. 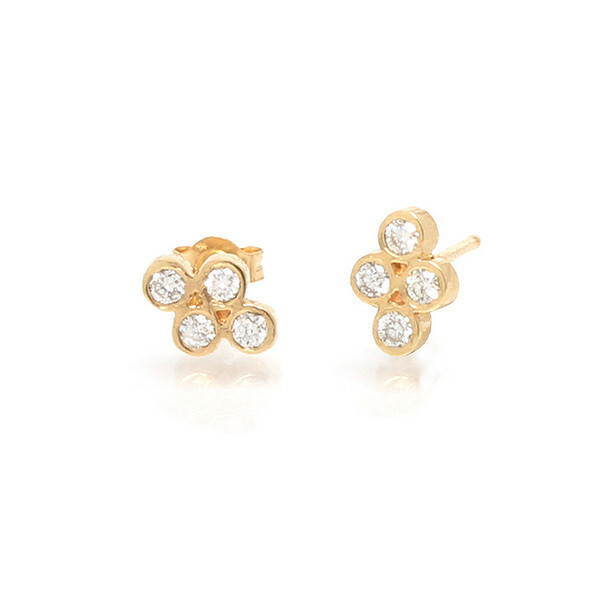 You may also select the earrings in 14K white or 14K rose gold. 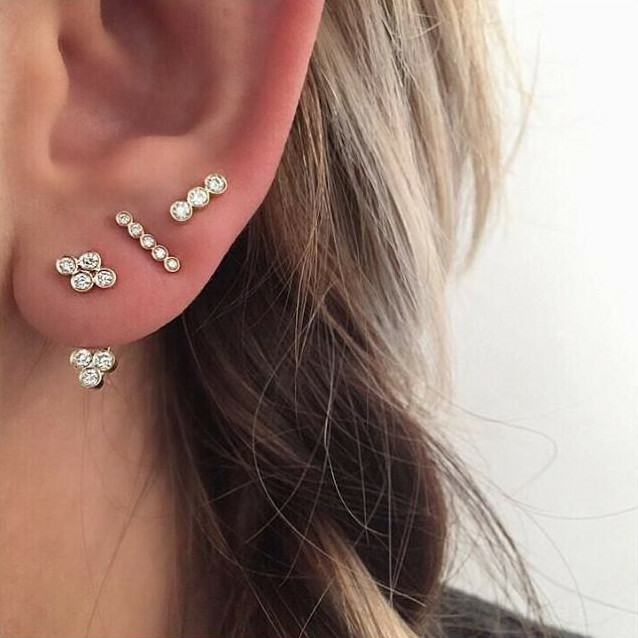 Wear the studs alone or with other pierced styles for a look that's as individual as you are.